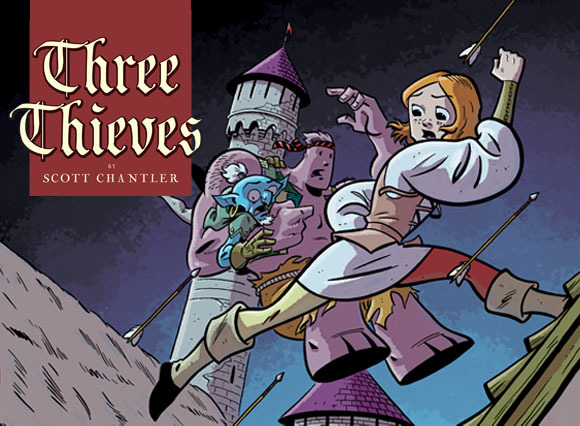 TORONTO – Saturday Morning Webtoons www.saturdaymorningwebtoons.com (SMW), the all-ages webcomics portal, is pleased to add the critically acclaimed THREE THIEVES by award-winning cartoonist Scott Chantler to its all-star line-up. The first THREE THIEVES volume, TOWER OF TREASURE, the 2011 Shuster Award winner for Best Comic for Kids, will begin weekly serialization on Saturday, May 3rd. The official announcement of THREE THIEVES joining the SMW line-up will be made at the SMW panel this weekend at the Toronto Comic Arts Festival. 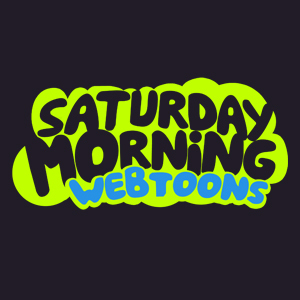 SMW updates its links every Saturday and points comic readers to some of the best kid-friendly webcomics around, brought to you by popular artists like J. Bone (GOBUKAN), Eric Orchard (ORCHARD OF LAUGHS), Stephanie Buscema (LITTLE TALES OF OTTO AND OLIVE), and Andi Watson (PRINCESS AT MIDNIGHT). The portal first opened in January of this year with weekly and bi-weekly webcomics for fans to follow, as well as a free comic “Download of the Month” feature. This entry was posted in Press Releases, Webcomic by Kevin A. Boyd. Bookmark the permalink. Great to see Scott join an already talented lineup!